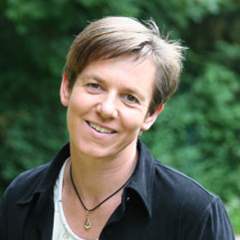 Hilde is a developmental biologist by training and has been an academic researcher for 19 years in many different countries. Throughout her scientific career, she gained long-standing experience as a trainer and mentor in the fields of interpersonal communication and leadership skills exclusively for scientists (www.servusscience.org). Since Fall 2016 she combines her work as a freelance trainer with supporting the Institute of Science and Technology Austria (IST Austria) in the areas of Diversity & Inclusion, and Family Services. Hilde loves hiking in the mountains and spending time outdoors. She is keen on training her voice to be able to sing whatever she’d like to. She lives with her husband, their two boys and two cats right outside Vienna, Austria, which is country number 7 for her.